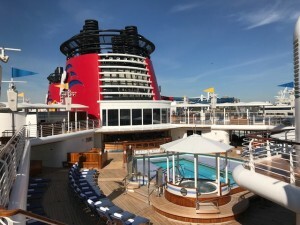 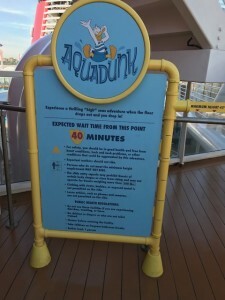 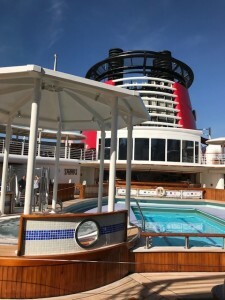 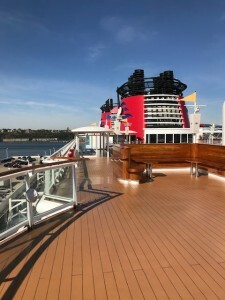 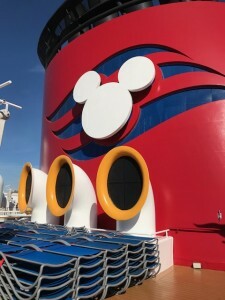 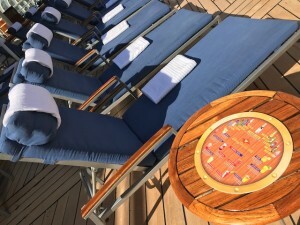 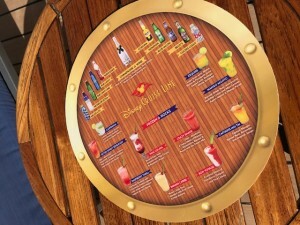 Disney Magic Ship Tour- Outdoor Decks 9 and 10 | What's Up With The Mouse? Just a quick stroll into the middle of the ship, you will find the Aqua Duck! 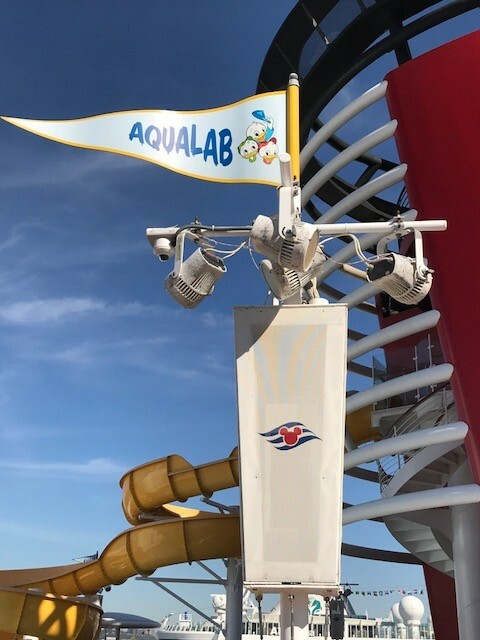 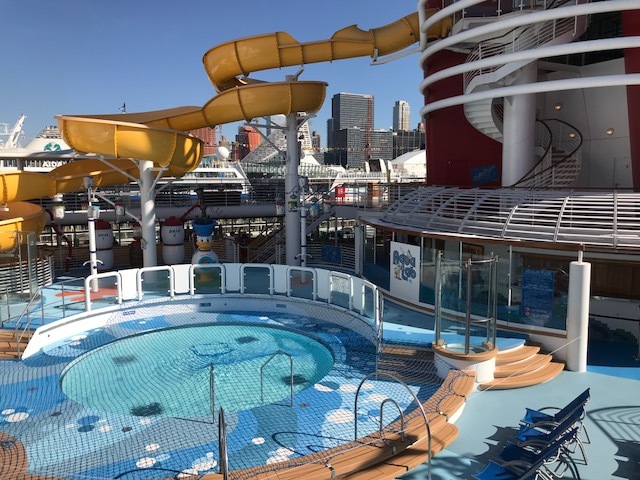 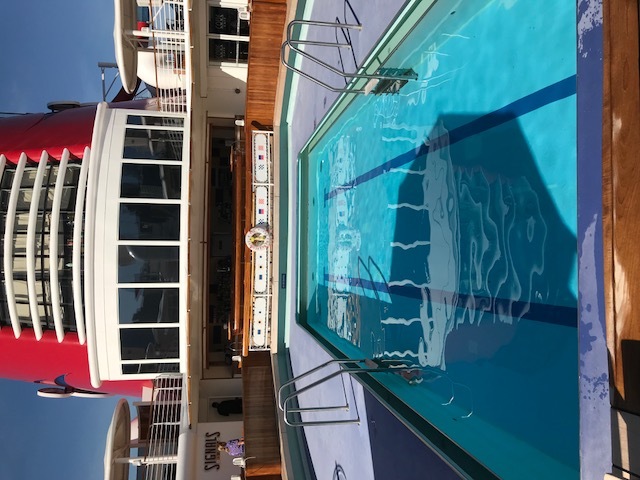 Deck 9 Mid-Ship is where you will find Goofy’s family pool- Stroll a bit more aft, you will find the kids’ water play area, AquaLab (complete with a pool and water slide!). 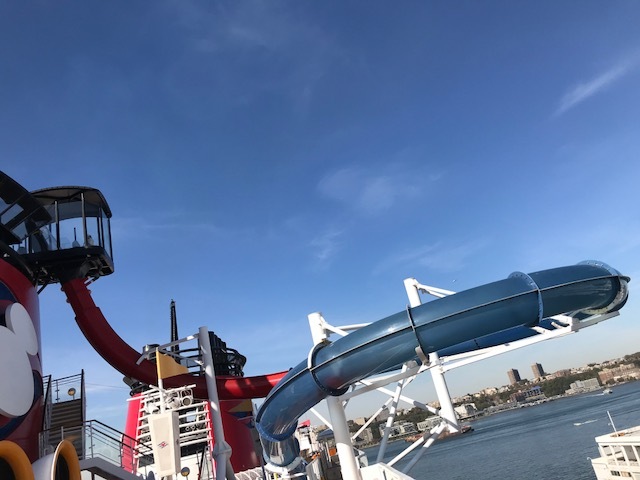 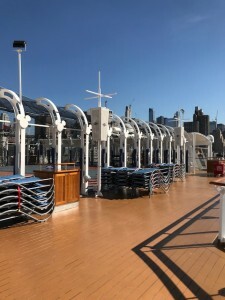 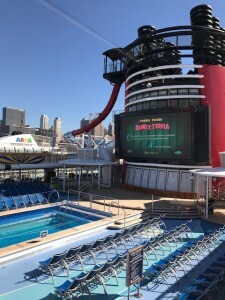 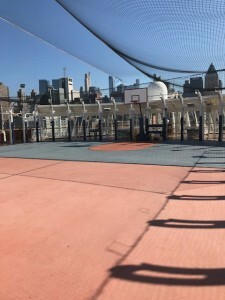 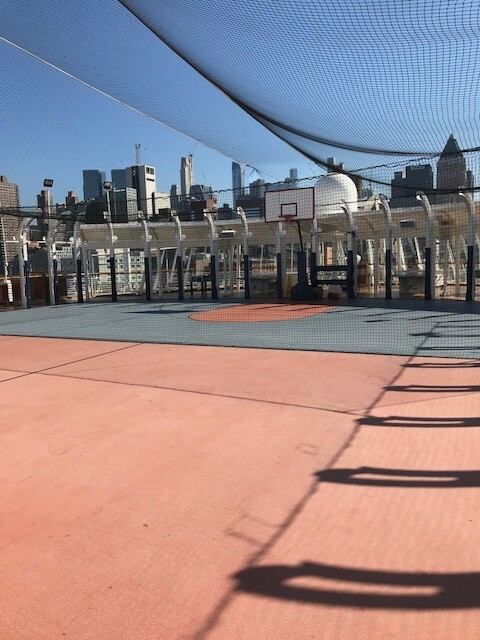 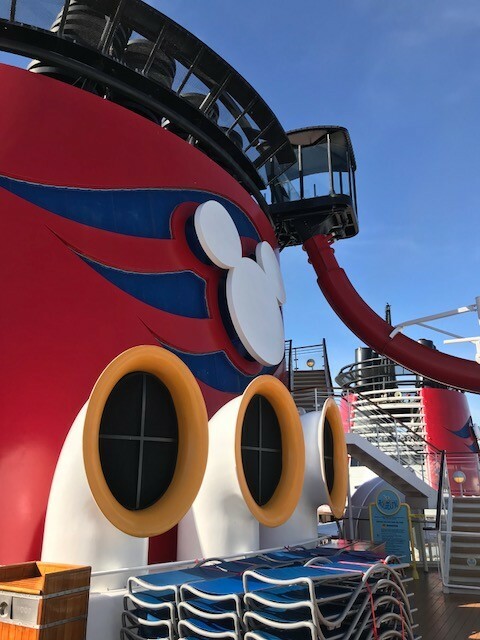 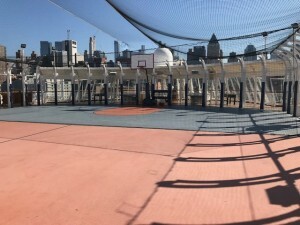 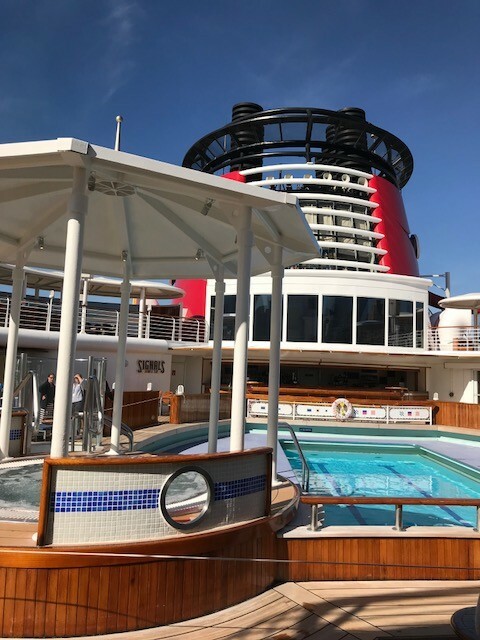 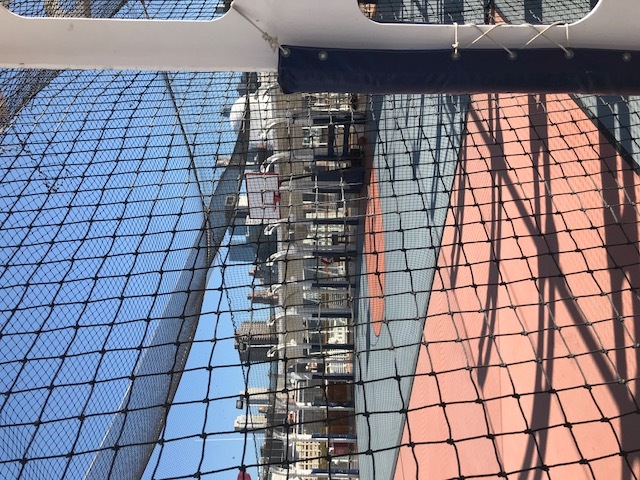 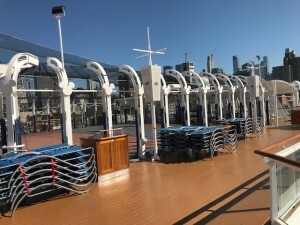 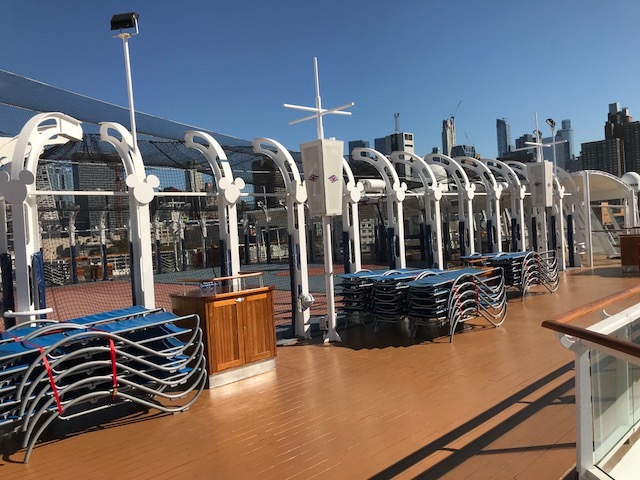 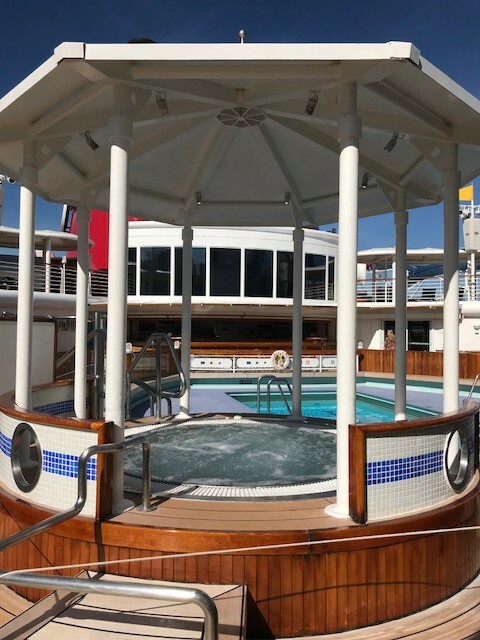 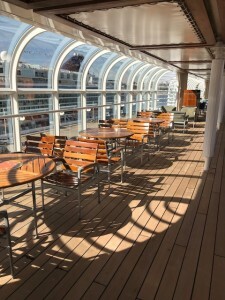 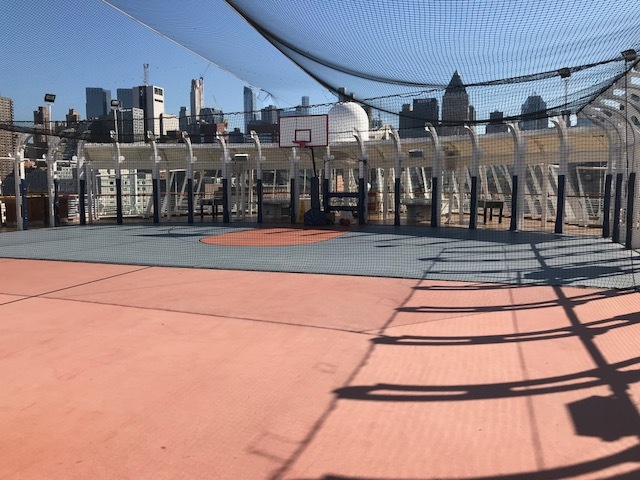 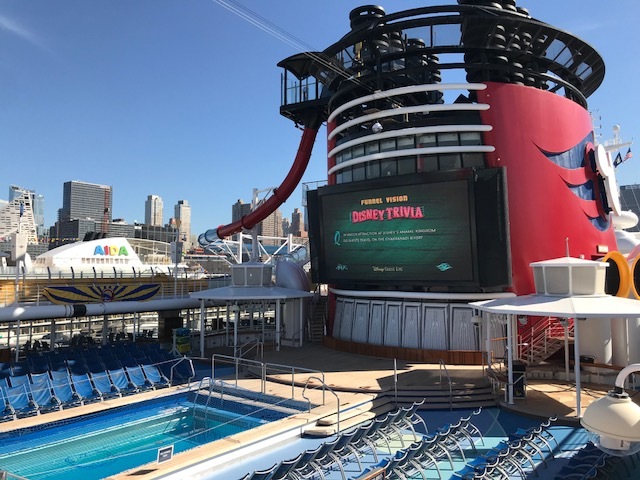 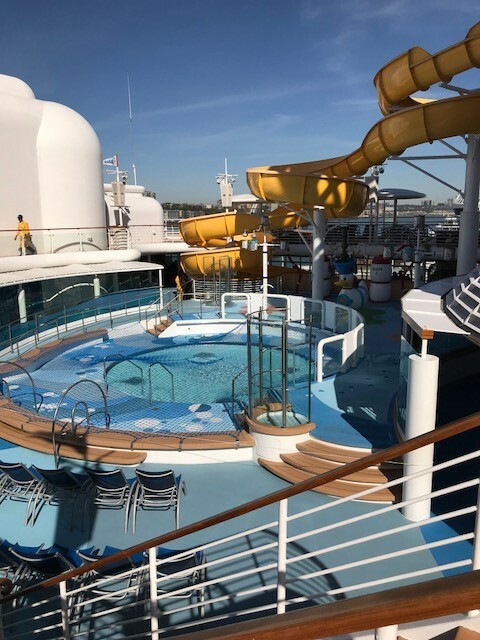 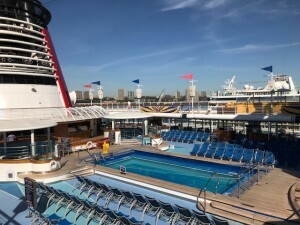 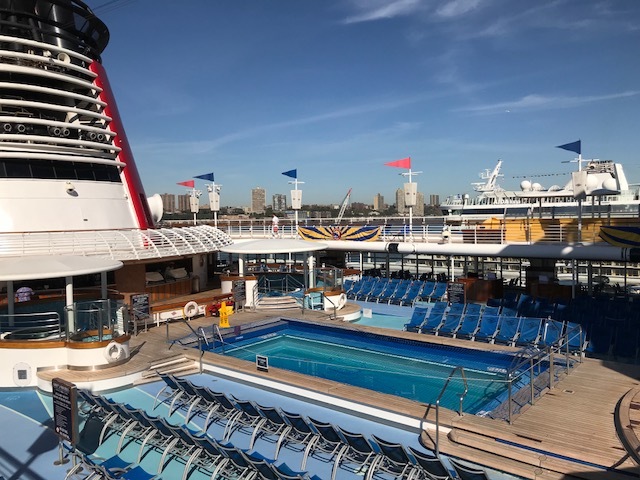 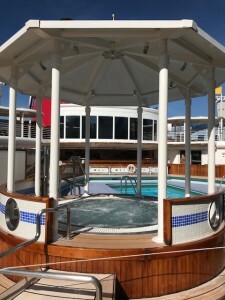 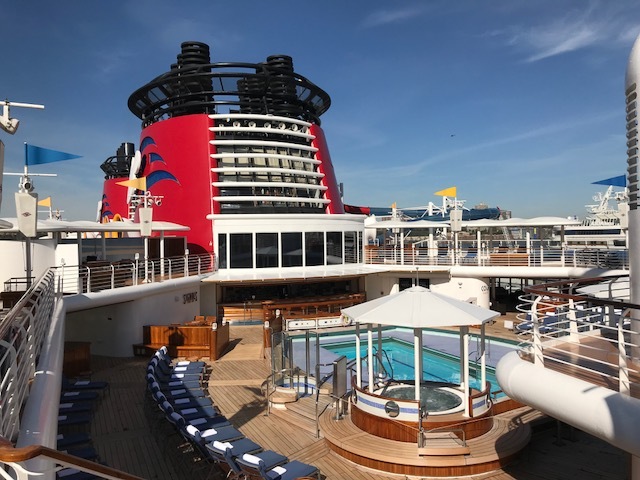 This entry was posted in 2018 Disney Cruise Line, 2019 Disney Cruise Line, Disney Cruise Line, Disney's Magic, Uncategorized. Bookmark the permalink. I’m so ready for that adults only pool area!